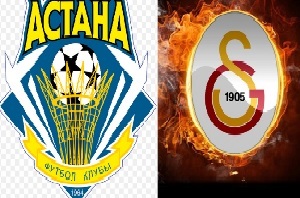 Astana will face Galatasaray in a Champions League game. Both teams have lost their first games in the tournament. Astana have lost their last few games and come into this game in a pretty bad form. Benfica defeated them with 2-0, but the result could have been 5 or 6 nil if the portuguese team had covered their chances. Galatasaray were comfortably beaten by Atletico with 2-0, they made a good second half, but failed to score. I think the turkish team is a level above Astana and they should win in order to keep their chances to qualify to the next round.